Australia’s avocado production increased by 17 per cent on the previous in 2017/18, with a gross value of production estimated at $557million - and the industry’s long-term trend is still on the rise. Mr Tyas says almost every growing region was experiencing a growth in plantings, primarily of the dominant Hass variety but also Shepard in Queensland. The industry body has been involved in a number of projects, including one to find ways to achieve more consistent yields of quality fruit in Australia. The final study group workshop for this project, which was made possible because of investments from the Hort Innovation Avocado Fund, was held in December 2017. The industry is currently working to secure future funding to support industry development and extension. "These activities are vital to the future of the industry, as they provide growers and industry stakeholders with access to current best practice information and the latest research and development work, the outcomes of field trials and much more," Mr Tyas said. "It is important that we work collaboratively to improve Australian avocado orchard productivity, fruit quality and profitability through the promotion of best practice." 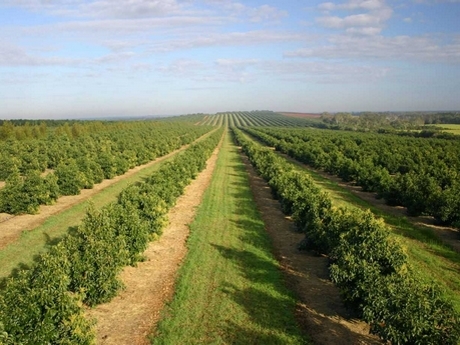 He adds the success of the Australian avocado industry has attracted nearly 300 new growers in the past three years and resulted in substantial new plantings, hence the revised domestic production forecast. "As the supply of avocados onto the market increases, the need to improve fruit quality and reduce cost of production will become more and more important to further expand our domestic market as well as new export markets," Mr Tyas said. "The strength of the Australian avocado market is also attracting interest from exporting countries such as Chile, Mexico and Peru which have a much lower costs of production. In order to be competitive, it is essential that Australian productivity increases, given our high production costs. Avocado is not an easy crop to grow, and it is crucial to bring all producers and advisors, especially new entrants, up to speed with sound production practices in a timely manner." Mr Tyas said as production climbed, Avocados Australia is also working actively with the Australian Government to open new export markets to ensure sustainable growth of the industry into the future.